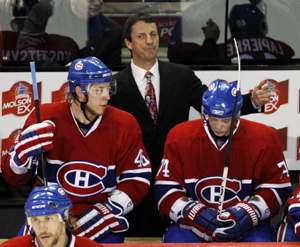 In 2007-08, Guy's second season as Canadiens head coach, the Habs finished first in the Eastern Conference with 104 points; the team hadn't had that kind of showing since the days when he was captain. Carbo was nominated for the Jack Adams Award as top NHL head coach; he finished second in the voting to the Washington Capitals' Bruce Boudreau. That spring, Guy's wife Line gave him a Hermes tie, purchased in Dallas, for his 48th birthday. Many Habs partisans considered it ugly; it had a wild psychedelic pattern. But more importantly, they believed it brought the team luck. By the first round of the playoffs against Boston, Guy was 3-0 in the tie (and wore it the night Montreal eliminated Boston in the seventh game of the series). 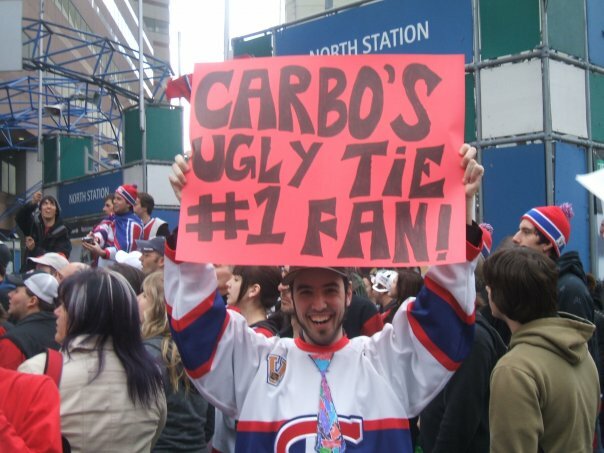 The city of Montreal went crazy for Guy's lucky tie. Le Journal de Montreal published a paper cutout of the tie for fans to wear; they also held a contest for readers of the newspaper to win an identical Hermes tie. I recall that several of the ties sold on eBay at the time for an average of three hundred dollars, well over the tie's suggested retail price of $250. The tie was out of stock at the Hermes store in Montreal. A Facebook group was started for the tie; at the time of the Canadian Press article quoted above, it had over 6,000 members. The tie cutout from Le Journal de Montreal. Eventually, the tie ran out of luck in the second round against Philadelphia. 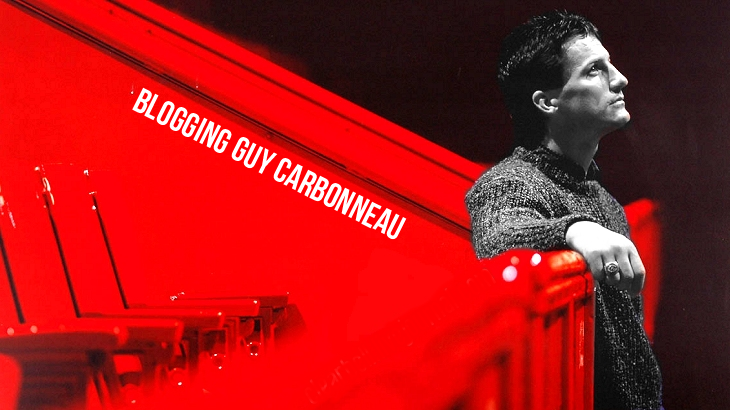 In August 2008, Carbo put the tie up for auction at the Canadiens' annual golf tournament. Metal dealer Herbert Black paid $100,000 for the multi-coloured piece of silk. But, when Guy became involved in the first season of the TVA hockey reality series La Serie Montreal-Quebec, he borrowed the tie back from its new owner.